May 15, 2008. 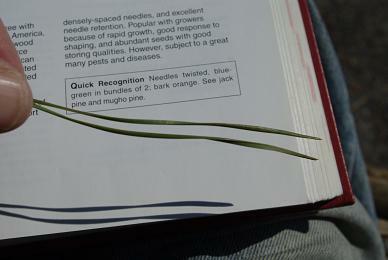 Note two twisted needles per group, characteristic of Scotch pine. 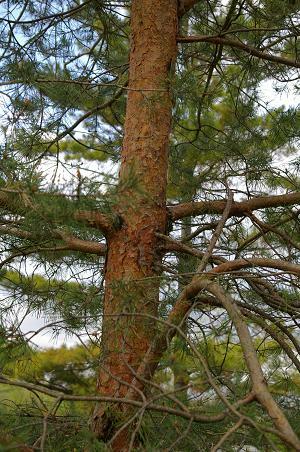 Scotch pine has bark which is orange in places. that differs in that the latter has a tiny spine at each lip. 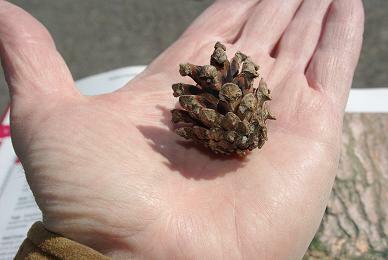 Scotch pine cones may be smaller. 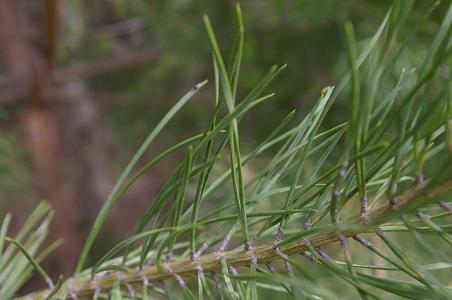 The cones are very similar but Austrian pine has a little barb on the chin. is not in the differential. It usually, but not always, has a ramrod straight trunk, without branches for a long way up. if wrapped around your finger.